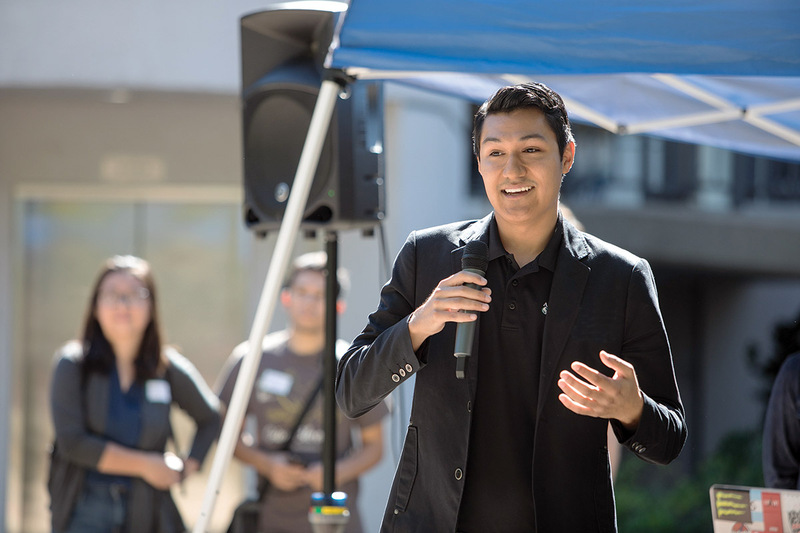 Noel Mora has a couple of things most college students don’t: a gaudy title – president and CEO of Associated Students Inc. (ASI) at Sacramento State – and an on-campus office. But he wants it understood that it’s the “students” part, not “president,” that matters. Mora, for all the responsibility he bears, is first and foremost a student. He wants to connect. He wants it known that he and the other 13 student members of the ASI Board are here for their peers—and that they do more than conduct elections and meetings, and push agendas. Fellow students decked out in Sac State gear might find Mora’s unexpected compliments about their choice of attire “surprising,” but he says that’s OK. Promoting what he considers the “Hornet family” is important. “Call it campus pride, but it’s really that we’re … a family of people going through the same thing,” Mora, 22, says. From the politics of student government to responsibility for programs—recreation to human resources policy, advocacy to finance—that have direct and ongoing impact on students and the University community, the consequences of ASI decisions and actions can be significant. That’s why having the right people for the job is important. And letting the campus community know what they do. That knowledge gap is closing, and Mora wants the trend to continue. In his orderly, sparsely decorated Sequoia Hall office early in the Fall semester, Mora emphasizes his point. “That’s what this board wants to focus on: really communicating what ASI does (and) what students do, because they’re one and the same,” Mora says. 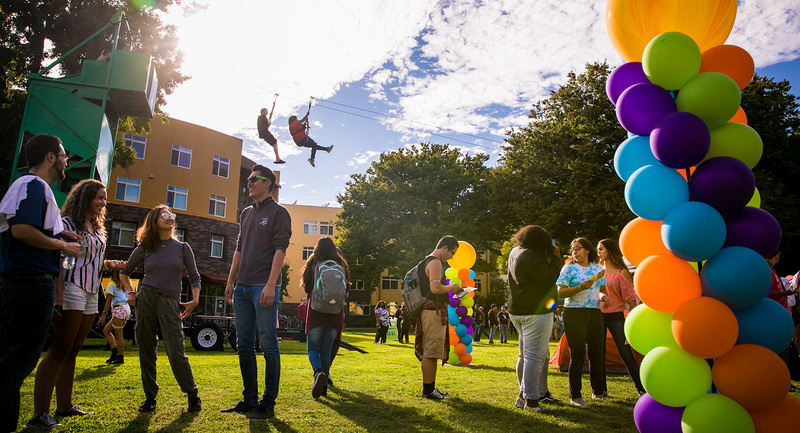 The ASI mission statement says it exists to “enrich lives through experiential learning, student services, and leadership opportunities.” What it doesn’t say is that doing so is a heavy lift. Additionally, more than 60 student volunteers serve on committees, where much of the most difficult work occurs, including determining how ASI spends its annual budget. This year, it’s nearly $10 million, and reviewing program proposals, external grant requests and proposed budgets for operating and student programs leads to tough decisions. For example, Lisa Dalton, in her sixth year as executive and board associate staffer, says more than $1 million worth of grant requests have been submitted to get a piece of the $270,000 available for those grants, and the work of choosing can be wrenching. “It’s a lot of ‘no’,” she says. Mora, who appears sensitive and empathetic, is especially affected, realizing how vulnerable students can be. He says that Sac State’s standing as the state capital’s university gives ASI a unique responsibility to advocate for all CSU students, many of whom deal with burdensome issues of financial, housing and food insecurities. He is downcast when addressing stories about students forced to sleep in their cars. “We’ve been hearing those stories for four years now,” he says. But ASI has made headway in providing direct help. Pop-Up Pantries are sources of fresh produce and other necessities at no cost. And the permanent ASI Food Pantry, which will be in the remodeled and expanded University Union, is a model of effective programming. The pantry also is an example of program continuity, something not always easy to maintain considering that new leaders and volunteers cycle into ASI each year. “Of all the priorities, it’s probably the one that sticks out for me because it wasn’t accomplished in a year,” Dalton says. That effort might have stalled if not for a supportive administration. Sandra Gallardo, ASI’s second-year executive director, cites President Robert S. Nelsen and his wife, Jody Nelsen, Vice President for Student Affairs Ed Mills, and Gina Curry, ASI’s vice president for Financial Services, as significant contributors. They helped find temporary space in Yosemite Hall, which will give way to new University Union digs in 2019. Services, which expanded from three to five days a week when the Fall 2018 semester started, will benefit even more when square-footage for the goods kept there more than doubles. Another service that began as a grass-roots student initiative and now enjoys professional staffing and management is the Children’s Center. 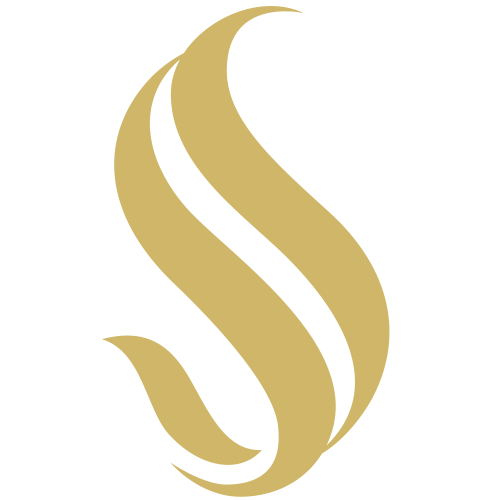 It has received the highest rating from the National Association for the Education of Young Children while providing care for children of student/parents and other members of the campus community. Kristen Lopez, the mother of a 4-year-old daughter and 2-year-old son, is the 2018-19 ASI Board’s director of Natural Sciences and Mathematics, and she knows the center’s value. Lopez says she got involved with ASI despite having no prior student government experience. But programmatic advances aren’t all that ASI leaders can facilitate. Showing how advocacy is another key ASI function, Mora, then-vice president for Student Affairs, and other board members went old school to help fend off a potential tuition increase, demonstrating at the Capitol to represent what he considered his fellow students’ best interests. They were front and center last spring, making known to lawmakers their opposition to the increasing cost of a California State University education. Organized opposition—including the demonstration—worked. CSU Trustees tabled the proposed increase over the summer, a move followed by the Legislature fully funding CSU’s budget request. Mora says the scene at the Capitol elicited strong emotion, and he calls successfully heading off the fee increase the top accomplishment of last year’s board. “It’s a powerful feeling,” he says. Mora, who describes himself as “the shy kid in the back of the class,” could be viewed as an unlikely ASI president. A Sacramento native who graduated from Natomas Charter School, he was focused on art in high school. The closest he came to being the center of attention was directing theater productions. It took a Sac State faculty mentor to draw him to student government, where he is acting on his firm belief that the most important part of ASI is students. The “shy kid” has an active voice on several University panels and has monthly meetings with President Nelsen. He wants a legacy of a more-visible ASI, and that desire is being increasingly met. Mora says more students attend forums and town halls and even the board’s weekly meetings; there’s greater engagement with ASI social media channels; and more applicants for committees and board vacancies. But he wants more. Mora hopes to convince more students to invest the time in voting. He wants to more quickly and effectively inform busy students what ASI does for them. The trick is being responsive to who ultimately matters: the students. That’s an organization-wide goal. “We’re always trying to figure out how do we best meet the students where they’re at now, because that’s not necessarily the student who went to Sac State 30 years ago,” says Reuben Greenwald, the Student Engagement and Outreach director. That personal engagement echoes similar outreach from other student leaders – think of Mia Kagianas, ASI’s 2017-18 president, and her “Free Conversations” sign on the River Front Center patio —and indicates that the people involved value what their fellow students have to say. They also have the chance to do something about what they hear. And that’s just another reason Noel Mora is listening. Ahmed V. Ortiz is a writer/editor, working at Sac State since 2011, after a 13-year newspaper career. He is an avid cyclist, enjoys traveling and loves animals and most sports, especially baseball. Ahmed believes in doing no harm and that love is the only way.